Jason Mazzone is the Albert E. Jenner, Jr. Professor of Law at the University of Illinois at Urbana-Champaign and Director of the Illinois Program in Constitutional Theory, History, and Law. Professor Mazzone’s primary field of research and teaching is constitutional law and history. He works principally on issues of constitutional structure and institutional design with a particular focus on relationships between structural arrangements and individual rights. His groundbreaking work on the Constitution of the United States has appeared in dozens of prominent legal journals. He regularly advises, on a pro bono basis, litigants in cases before the Supreme Court of the United States and in other courts. A good part of Professor Mazzone’s research involves comparative issues in constitutional law. He has lectured around the world on this topic and he has advised new democracies during their processes of drafting and implementing their own constitutions. Unifying all of this work is a close attention to the role of culture in grounding and shaping formal constitutions, a topic Professor Mazzone first explored in his dissertation at Yale University. Professor Mazzone is currently at work on two books: one a global study of the future of constitutional rights; the other, a study of how the U.S. Constitution serves as both a unifying and dividing force in American society. Professor Mazzone works also in the field of intellectual property law. He is the world’s leading expert on overreaching assertions of intellectual property rights. In a famous article published in the NYU Law Review in 2006, Professor Mazzone coined the term, “copyfraud,” to describe claims of copyright in works that are actually in the public domain and cannot be copyrighted by anyone. That article generated scores of studies by other academic researchers and “copyfraud” became the tagline for popular criticism of excessive intellectual property claims. Professor Mazzone’s acclaimed book, Copyfraud and Other Abuses of Intellectual Property Law, was published in 2011 by Stanford University Press. Professor Mazzone’s work on overreaching intellectual property claims has produced legislative reforms in France and other countries; provided the framework for high-profile lawsuits to limit intellectual property rights to their statutorily-designated scope; inspired symposia and conferences at home and abroad; shaped the work of public interest organizations and legal clinics devoted to protecting the public domain; provided guidance to the work of the U.S. Copyright Office and the U.K. Intellectual Property Office; and served as a framework for rethinking key aspects of our system of intellectual property laws. 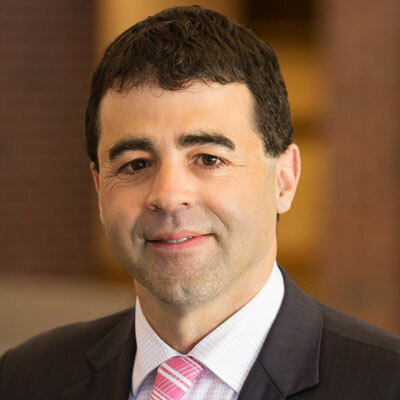 Professor Mazzone received his undergraduate and law degrees from Harvard University, a master’s degree from Stanford University, and a master’s and doctorate from Yale University. While a student he worked with Laurence H. Tribe on constitutional cases in the Supreme Court and for Robert D. Putnam on the bestselling book Bowling Alone: The Collapse and Revival of American Community. He served also as Rapporteur to the Saguaro Seminar on Civic Engagement in America, a workshop group whose members included then-Illinois State Senator Barack Obama. Before entering law teaching, Professor Mazzone clerked for Judge Robert D. Sack of the U.S. Court of Appeals for the Second Circuit and for Judge John G. Koeltl of the U.S. District Court for the Southern District of New York, and he practiced intellectual property law in New York City. Professor Mazzone is a member of the American Law Institute and a fellow of the European Law Institute. He is Chair of the Illinois-Bologna Conference on Comparative Constitutional History, a member of the Advisory Board of the Italian Law Journal, and a member of the International Association of Constitutional Law Research Group on Constitutionalism in Illiberal Democracies. He has also served on the Board of Trustees of the Copyright Society of the USA. His scholarship has been cited by many courts, including the Supreme Court of the United States. He is a regular media commentator and he has written about legal issues for The New York Times and other national newspapers. Professor Mazzone blogs at Balkinization. In this third and final column in a series about the legal challenge to Harvard Law Review’s diversity program, Illinois law dean Vikram David Amar and professor Jason Mazzone consider how much deference courts should give to law reviews when they assert diversity as a basis for considering race and gender. Amar and Mazzone anticipate that even in the unlikely event that this lawsuit reaches the Supreme Court, any fundamental changes to existing affirmative action doctrine would likely require the Court to weigh in on multiple cases over an extended period. Illinois law dean Vikram David Amar and professor Jason Mazzone continue their discussion of whether law reviews may take race and gender into account in selecting members and articles. In this second of a three-part series of columns, Amar and Mazzone analyze some of the key substantive arguments made by the plaintiff in the lawsuit. In this first of a series of columns, Illinois law dean Vikram David Amar and professor Jason Mazzone comment on a legal challenge to the practice by Harvard Law Review of taking into consideration race, gender, and other demographic factors when making membership decisions. Amar and Mazzone highlight some of the hurdles the challenger faces in establishing standing— the right to have the dispute heard in a federal forum. Illinois Law dean Vikram David Amar and professor Jason Mazzone continue their discussion of the constitutionality of California’s law requiring that publicly held corporations have a minimum number of women on their boards of directors. In this second of a series of columns, Amar and Mazzone consider whether California’s ostensible reasons for enacting and implementing SB826 are permissible and “important”—the standard required under federal intermediate equal protection scrutiny. Is California’s Mandate That Public Companies Include Women on Their Boards Of Directors Constitutional? Illinois Law dean Vikram David Amar and professor Jason Mazzone consider the constitutionality of California’s recently passed law requiring that publicly held corporations to have a minimum number of women on their boards of directors. In this first of a series of columns on this topic, Amar and Mazzone analyze whether, under the Equal Protection Clause, the law fails federal intermediate scrutiny.